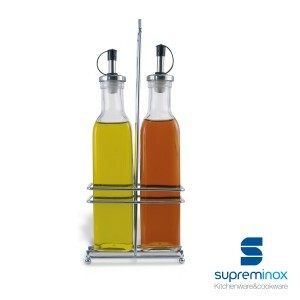 Stainless steel structures that serve as support for oil and vinegar containers. 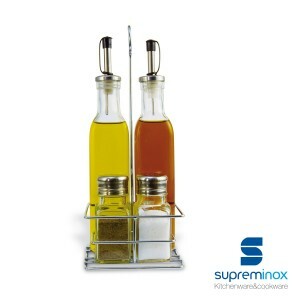 Here you have them, All the table service that will allow you to impeccably serve oil bottles to your customers; No stains or incidents Choose yours! 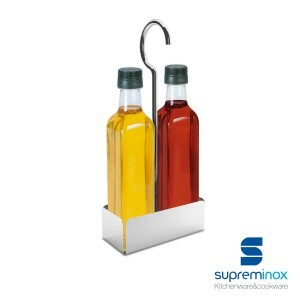 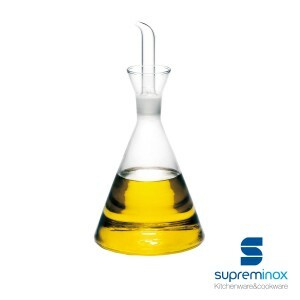 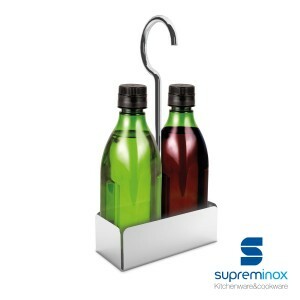 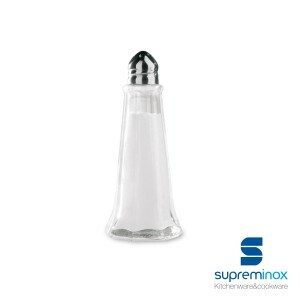 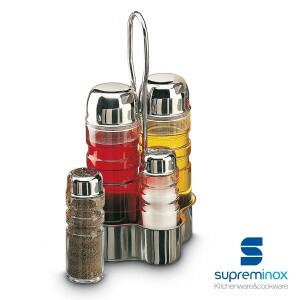 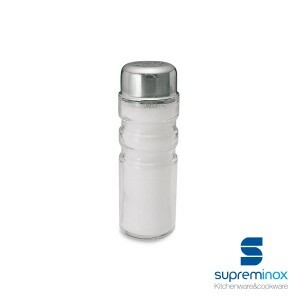 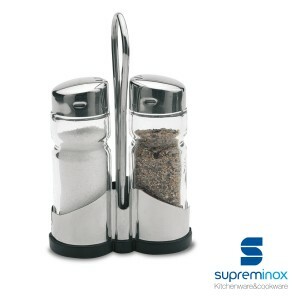 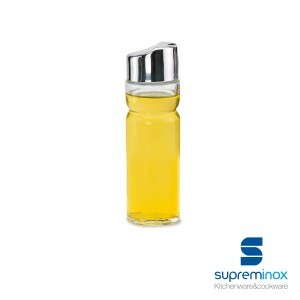 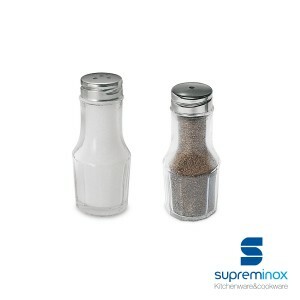 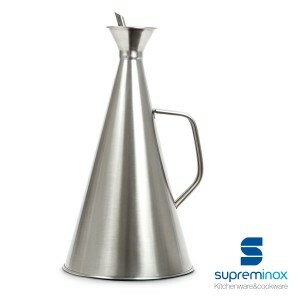 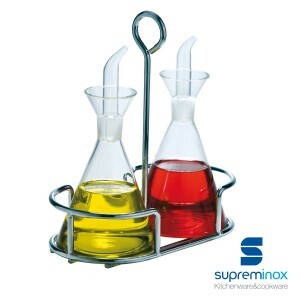 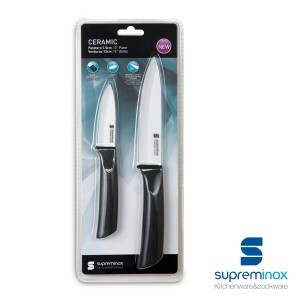 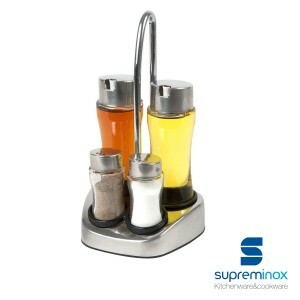 Complete the most basic table service but also essential in catering with the Supreminox stainless steel oil bottles. 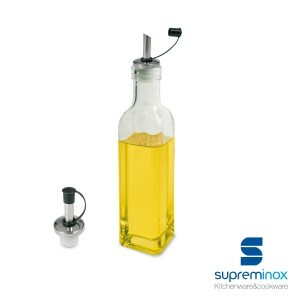 They are designed to keep olive oil, serve it comfortably and without unforeseen to customers. 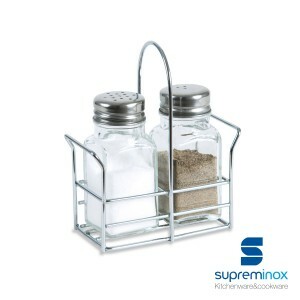 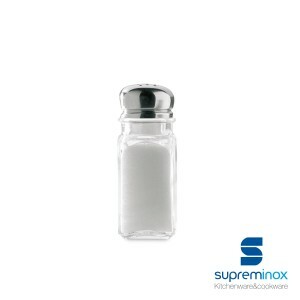 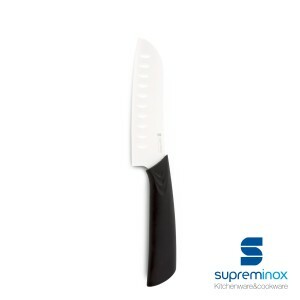 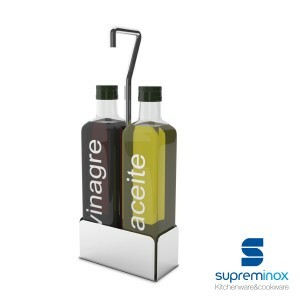 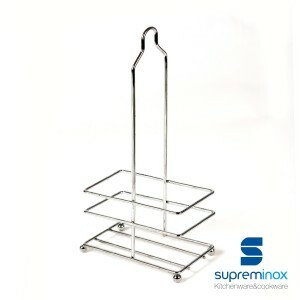 In Supreminox we have designed a complete range of resistant supports to comfortably carry condiments to the diner table; a more practical system that works. 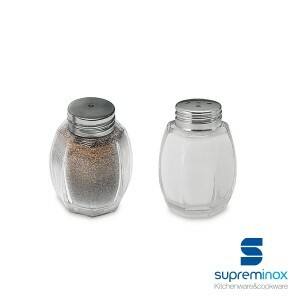 To complete your cooking utensils for dressings we have a versatile line of salt, pepper, jars for vinegar and oil, perfectly adapted to your needs. 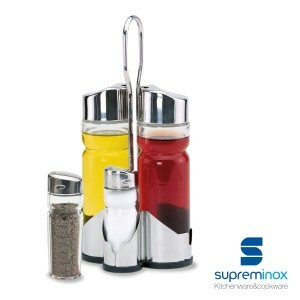 Whatever you need, we have it.